WHAT IS THE HISTORY OF THE FOLD? WHAT IS YOUR "SUCCESS RATE"? DOES THE FOLD ACCEPT INSURANCE? ARE TEENS ALLOWED TO HAVE ELECTRONIC DEVICES SUCH AS CELL PHONES AND I-PODS? HOW ABOUT INTERNET ACCESS? WHAT ACTIVITIES DO THE TEENS PARTICIPATE IN? ANY SPORTS? WHAT COUNSELING MODEL IS USED? DO YOU OFFER GROUP THERAPY? ARE CREDITS EARNED AT CORNERSTONE CHRISTIAN SCHOOL TRANSFERABLE? MY CHILD HAS AN IEP. CAN CORNERSTONE CHRISTIAN SCHOOL ACCOMMODATE? WHAT CHURCH DO THE TEENS ATTEND? ARE YOU AFFILIATED WITH A PARTICULAR DENOMINATION? HOW OFTEN WILL I GET TO VISIT MY CHILD? WHAT IF MY TEEN DOESN'T WANT TO ENTER YOUR PROGRAM? WHAT IS THE PROGRAM'S LENGTH? IS MY TEEN A GOOD CANDIDATE FOR THE PROGRAM? 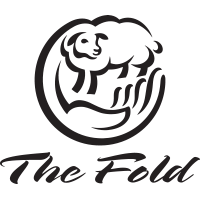 The Fold became incorporated in 1967. Earl Eldredge, The Fold's founder, had a passion to reach youth for Christ so that they would not go down the destructive path of using drugs and alcohol to cope with life struggles. Originally, The Fold worked with children of all ages, state wards, and the mentally handicapped. From 1968 – 1989, The Fold purchased our current Boys' Home, Girls' Home, School, Office building and Retreat Center. The Fold's growth really accelerated in 1983-84 when The Fold ended its partnership with public schools and opened its own Christian school for teens. In the late 1980's The Fold's vision sharpened to working exclusively with teenagers. Since then the program has grown, developed, and become more and more effective in serving hurting teens and families. We recognize that change is a process and that God is ultimately the One who changes lives. We also recognize that Fold staff have the privilege of playing a compassionate and active role as helpers and mentors in communicating instruction and hope for emotionally troubled teens. Our motto states: "We are committed to providing a new beginning for emotional healing, education, and personal growth in a safe and caring environment." Therefore, we count it a success if we have opportunity to provide this environment and speak God’s truth into the lives of young people who choose to participate in our program. Some health insurances may help cover the counseling portion of the charges. This would only be possible if the student was already using out-patient counseling. From our experience there are few companies that offer to pay and often require a lot of work from the parents because our program is faith based. We believe our comprehensive program offers an outstanding value at a very reasonable cost. For those families who cannot afford the full tuition, we offer generous scholarships provided by our donors and alumni. Contact us for more details. We use a Christ-centered, discipleship based, biblical Counseling approach. Teens meet regularly with a staff counselor trained to use the Exchanged Life or Grace Life model. Typically we do not offer group therapy, the exception being for family sessions. The underlying focus and goal of our counseling is to provide teens with an understanding of their identity in Christ and then address behaviors and wounded areas from that standpoint. Generally, yes. We are a recognized school in Vermont, and our curriculum is accredited. Transferability, though, is sometimes dependent on the receiving school rather than on our accreditation. Generally speaking, yes; however, each child's IEP is evaluated on interview day to ensure their specific needs can be met. Teens regularly attend our local church, Lyndon Bible Church, which is non-denominational. They may have opportunities to visit other churches. No. We are non-denominational and minister to people from many different denominations. You can read our Doctrinal Statement here. The Fold recognizes and desires for parents to connect regularly with their children. It also recognizes the value of respite for the parents while their children are living with us. For these reasons, and others, The Fold has four two-week home visits scheduled a year (one each quarter). During the home visit your child will be living with you and reconnecting with family in deeper ways. During their time on-site with us, students will frequently write home and communicate once a week via a short phone call. WHAT IF MY TEEN DOESN'T WANT TO ENTER THE PROGRAM? If your teen is unsure or seemingly uninterested in the program, do not be discouraged. This is common. The interview process is designed to help familiarize the family and teen with who we are and what we're all about. Often this changes their perspective. There is no commitment required at that point, which allows the teen to process through the decision without added anxiety. If you have further questions about this, please contact us. The average length of stay is 14 months; however, the program length is heavily dependent on student and family involvement. Graduation from the program is a group decision made by parents, child, and Fold staff. IS MY TEEN A GOOD CANDIDATE FOR THE FOLD'S PROGRAM? Teen has awareness of his or her need, even if the awareness is quite small. The teen has already experienced some level of brokenness. Parents are looking to stay involved with their child rather than "ship-them-off." The family desires to reconcile and move forward. The family considers themselves Christians or readily open to Christianity. Parents are willing to make changes in their own lives in order to best support their marriage, child, and family. If you have a more specific question about The Fold, please contact us.